Any returning visitors to this site will have noticed that it is a very long time since there have been any new posts. Work was halted on the website to allow us to completely focus on writing a book about Big Flame. For far too long progress was very slow. Now things have picked and we should complete the writing this year (though there will be another gap before the publisher brings the book out). For our latest plans for the book see “A Book about BF” – second from the right in the menu at the top of the page. When the book is out of the way, our intention is to resume posting documents from the Big Flame archive on this site (many have already been scanned). In the meantime there is a sufficient range of documents already uploaded to this website to keep even the most enthusiastic researchers busy. The best way of starting to take a look at the series of posts entitled “Episodes in Big Flame History”, which run through the life of the group in roughly chronological order. To see these posts go to “BF History Series” – fourth from the left in menu at the top of the page. Other previous posts can be accessed via the “Index of Site Contents” – third from the right in the menu at the top of the page. Alternatively if you want to start from a list of Big Flame publications, go to “List of BF Publications” – third from the left in the menu at the top of the page. In an earlier post I drew attention to a couple of websites which, like this one, documented the activities of a political organisation – the Sojourner Truth Organization in the USA. This led to an interesting series of comments where sites for other groups were mentioned. In this post I want to draw attention to some sites which reflect on another aspect of the politics of the period – student protest. 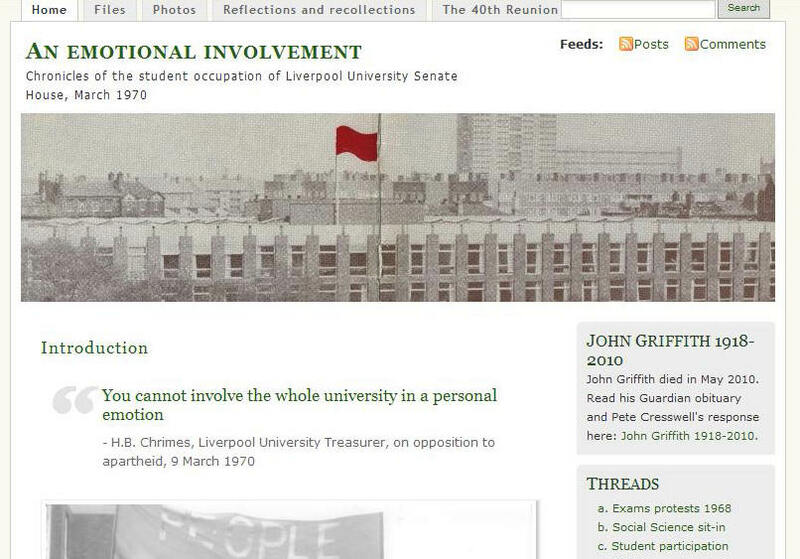 An Emotional Involvement which covers the March 1970 occupation of Senate House at Liverpool University. 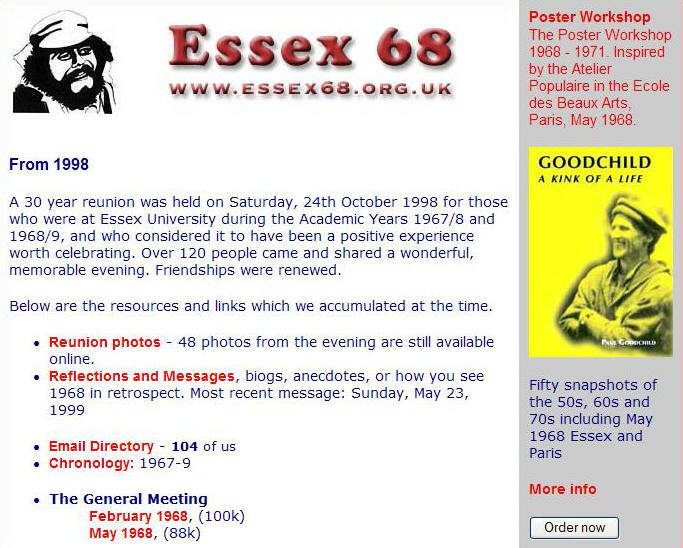 Essex 68 which covers the events at Essex University in 1968, particularly the occupation in May. Both websites are an interesting mixture of documents and photos from the period and modern reflections back on the events. Both held reunions to bring together some of those involved. 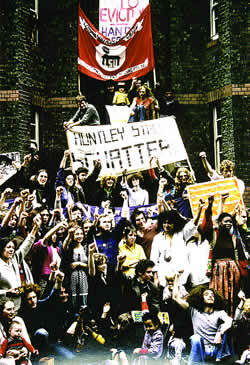 I would also like to mention what I think is the best book about student protest of the 1960s and 1970s: Ronald Fraser 1968: A Student Generation in Revolt (London: Chatto and Windus, 1988). It is based on hundreds of interviews with activists – not just in the UK but also from Europe and the USA. Tapes and transcripts of the interviews were donated to the British Library in London, and most are available for public access (although one person who went on to became a Government Minister did withdraw his interview!). Incidentally, both the websites include reflections (and the book an interview) with people who were later members of Big Flame. From time to time some Big Flame members argued for a change in the name. The reason it never happened is that they never came up with a credible alternative. Whatever doubts there were about the name, most people were happy that the organisation didn’t have a run of the mill left group name like the Revolutionary Socialist International Workers Communist Group League Party (or RSIWCGLP for short). The source for the name was not the Manchester pop group (they were of 1983-86 vintage), but a television play. 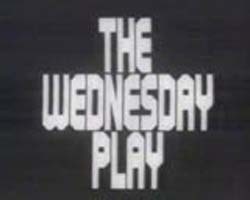 Part of the long running Wednesday Play series on BBC, it was first broadcast on the 19th February 1969. Unlike some other of the Wednesday Plays, it was not be wiped. So it may even appear from time to time at arts cinemas like the National Film Theatre. “The Big Flame” had a screenplay by Jim Allen, was directed by Ken Loach and produced by Tony Garnett. The actors included Norman Rossington and Godfrey Quigley. 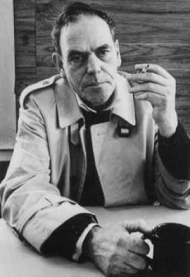 The play also launched the acting career of the late Peter Kerrigan. A Communist Party member and former docker, who had been involved in a real dock strike in Liverpool. Kerrigan later played a terminally ill former Liverpool docker, in Alan Bleasdale’s “Boys from the Blackstuff”. Jim Allen was a former miner and building worker. He began his career as a writer on “Coronation Street” (ITV). Then Allen worked on several television plays with Loach including “Days of Hope” (1975). They later collaborated on three feature films: “Hidden Agenda” (1988), “Raining Stones” (1993) and “Land and Freedom” (1995).. Allen died in 1999. Allen was a member of the Revolutionary Communist Party (which briefly united the different currents of British Trotskyism in the late 1940s and early 1950s). He went with the Gerry Healy current of the RCP on to the Socialist Labour League. He was expelled from Labour Party in 1962 for his membership of this “prescribed organisation”. Allen left the SLL soon after (before it became the WRP) for reasons he refused to discuss. He continued to share much of its politics. 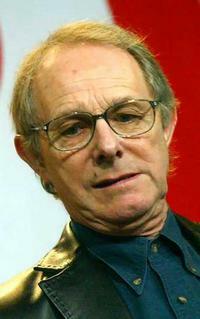 Ken Loach was originally an actor who moved into direction with “Z Cars” (BBC). He directed six Wedneday Plays including “Up the Junction” (1965) and “Cathy Come Home” (1966). He then moved into feature films. Apart from the Allen collaborations mentioned above, his films have included “Kes” (1969), “Bread and Roses” (2000), “The Wind that Shakes the Barley” (2006) and, most recently, “Looking for Eric” (2009). He was a member of the Labour Party from 1964 to the mid 1990s. In the 1960s and 70s Loach was one of a group of producers, writers and directors – such as Roy Battersby, Trevor Griffiths, Kenith Trodd, Roland Joffe and Tony Garnett – who were in the orbit of the Socialist Labour League (with varying degree of closeness). Since the 1960s Loach has been a friend of Alan Thornett (then of the SLL/WRP, later of the WSL and ISG), picking Thornett as his “hero” in a 2007 exercise conducted by The Independent newspaper. In recent years Loach has alligned himself with Respect and Socialist Resistance. Tony Garnett began his working life as an actor, became a script editor and then a producer. He produced twelve Wednesday Plays, G.F. Newman’s tv series “Law and Order”, and the film “Kes”. After a spell in Hollywood in the 1980s, he formed an independent production company. This has achieved success on television with “Between the Lines”, “This Life” and “Ballykissangel”. Documentary drama television plays adopted the style of documentaries. They were shot on location with hand held cameras and often with unknown or amateur actors. In the 1960s and 70s there was a press campaign again these plays on television for their perceived left wing bias. They were also criticized for blurring the line between reality and fiction, and thereby confusing the viewer. “Cathy Come Home” and “Days of Hope” were particularly subject to attack. On the one hand it was argued that the facts they were based on were distorted and untrue. On the other they were wrong to pretend they could report reality. Viewers might be lulled into accepting their viewpoint, rather than taking them as pure entertainment. In a 2002 interview Ken Loach gave a good response: “The idea was not to ask ‘Is the play true?’ but “What truth is there in the play? …The whole argument about objectivity is an impossible concept. The point is: what are they defending in the guise of objectivity?” (in Anthony Hayward Whose Side are You On? p71). The Big Flame” was one of three plays on political subjects with Jim Allen as the scriptwriter which helped spark this controversy. The first was “The Lump”, another Wednesday Play from 1967 about the Building trade, with Garnett and Jack Gold as the director. The last was “Rank and File”, a Play for Today from 1971 about the Pilkington Glass strike, with Loach and Graeme McDonald as producer. “The Big Flame” was about an occupation of the Liverpool docks. It was made after the Devlin report recommended decasualisation of the docks and before the Upper Clyde Shipbuilders sit-in. It was filmed entirely on location in Liverpool in 20 days (19 Feb to 16 March 1968). “The Big Flame” was set in the “near future”. A strike in the Liverpool docks is lead by an unofficial strike committee including Danny Fowler (Norman Rossington) and Peter Connor (Peter Kerrigan). They go out on strike in defiance of their union, mainly as a response to the threatened casualisation of the workforce. Strikers are seen discussing the progress of the strike, while voice-over narrators provide analysis. After six weeks the strikers are persuaded by a blacklisted union organiser Jack Regan (Godfrey Quigley), a former Communist turned Trotskyist, to move the strike from the “the industrial to the political” by occupying the docks and running them. Regan argues: “There’ll be no revolution, but you’ll have lit a bonfire” (hence the Big Flame). After 5 days the occupation ends when the police and the army move in during the middle of the night . Fowler, Connor and Regan get three year prison sentences. Outside the court young workers start organising again. The message of the film is clear when on the last night of the occupation an American sailor sings “The Ballad of Joe Hill”. He may have been killed, but he didn’t die. The play was ready for transmission by May 1968. The BBC postponed showing it twice, and there were doubts that it would ever be broadcast before its February 1969 appearance. There was a predictable storm of protest. The Daily Mail labeled the play a “Marxist play presented as sermon”. Mary Whitehouse, Secretary of the National Viewers’ and Listeners’ Association, complained that the play was “a blueprint for the communist takeover of the docks” and wrote to the Prime Minister and the Leader of the Opposition urging a review of the BBC’s charter. Tom Jackson, General Secretary of the Union of Post Office Workers, also wrote a letter of protest to Lord Hill, Chairman of the Governors of the BBC. After “The Big Flame” a new regime at the BBC insisted that in future all plays should have no more than ten minutes of outside filming. This led Tony Garnett to quit the BBC. In time the BBC stopped showing plays in the documentary drama style. The Allen/Loach/Garnett plays were also criticised by some on the left. Some found their politics too simplistic and didactic. Other criticised their realistic style. For example, those associated with the theoretical film journal Screen claimed that it was impossible for the “classic realist text” to offer any perspective for struggle due to their inability to investigate contradiction. To be truely subversive a film needed to be radical in form as well as content. I must confess that I have never seen “The Big Flame”. Therefore, it is hard for me to defend the film from these critics. However, sticking to the general issues and not defending all the films in the drama documentary style, I am strongly critical of the perspectives of Screen and its ilk. Also helpful were some books which mention “The Big Flame”: Jacob Leigh The Cinema of Ken Loach (Wallflower Press, 2002); Anthony Hayward Whose Side are You On? : Ken Loach and his Films (Bloomsbury, 2004) and a chapter on Jim Allen by Paul Madden in George W. Brandt (ed) British Television Drama (Cambridge University Press, 1981). The internet has transformed the way in which information is available, but traditional archives can also be a valuable resource. 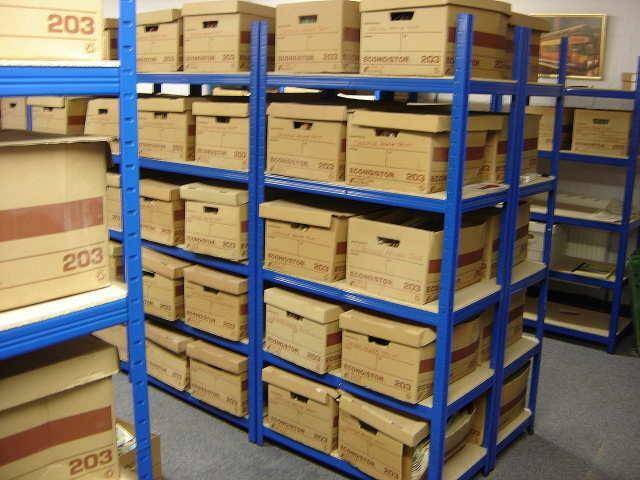 Many former members of left groups will arrive at a time when they start to ask themselves: shall I carry on keeping that dusty box of my former group’s publications in my attic or storage cupboard. One alternative to throwing the lot in a bin is to give them to an archive. In the case of Big Flame, a number of former members have recently chosen this path. Unfortunately these donations are still to be fully catalogued, and if you go to the websites of the institutions which received them, the Big Flame material is not mentioned. 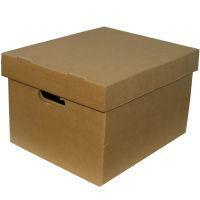 For anyone who might like to look through these archives, I provide relevant details below. I also give the website addresses of the institutions. Even if there is no listing of the Big Flame documents, there will be other vital information, such matters as location, opening hours, and whether an advance appointment is required. A deposit by Max Farrar contains a variety of political documents from the 1970s, 80s and 90s, as well as Big Flame material. 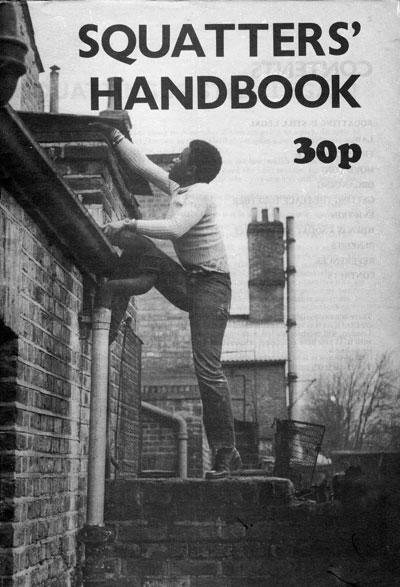 The Big Flame documents cover the period 1975-81, and include most magazines and pamphlets; some papers; Internal/Discussion Bulletins; minutes of the Anti Racist/Anti Fascist and Education Commissions and some National Committee minutes. Special Collections also houses the Feminist Archive North (see http://www.feministarchivenorth.org.uk/index.htm). 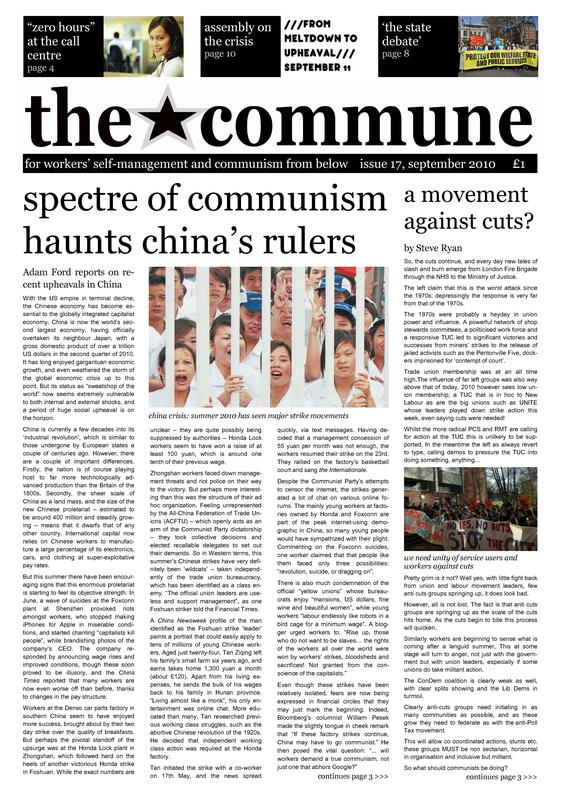 This has a considerable amount of Big Flame documents: issues of the newspaper (Manchester edition, 1975–77, 79), the magazines Big Flame Journal (1974-76), Revolutionary Socialism (1980-81), the Internal Bulletin (1976-77), the Women’s Commission 1976 conference report, and two runs of Women’s Struggle Notes. This deposit is called the ‘Big Flame collection’. It combines donations from three different former Big Flame members and includes: copies of the second series of the newspaper from no.2 Aug 1972 to no.114 Jul/Aug 1983 (the last issue) with some gaps, plus the special unnumbered Jan 1974 issue and three issues from the 1985-86 reprise; all issues of Big Flame Journal (1-2) and Revolutionary Socialism (1-10); many pamphlets; Internal and Discussion bulletins; conference documents; Industrial Commission papers; documents on Big Flame activities on Merseyside including a folder of material from the Socialist Unity campaign in the 1979 Edgehill, Liverpool by-election. This collection has been given the accession number 672 and will be listed as ‘Big Flame’. The dates covered are 1970-81. The earliest item are copies of the Big flame Bulletin from 1970-71. There are also copies of the newspaper from no.1 June 1972 to no.112 Feb-Mar 1983, though there are gaps in the sequence. A search of the MRC archives reveals a few other Big Flame related documents: a folder in the International Marxist Group collection (MSS 128/257), the pamphlet Introducton to Big Flame – Our Politics, History, Structures and Publications and a few other items in the Andrew Whitehead collection (MSS 21/1538/212), the same pam phlet and A close Look at Racism and Fascism in the S.E.Taylor Collection (MSS 21/1571/22), and The Revolution Unfinished? A critique of Trotskyism in the Harry Wicks papers (MSS 102/5/3/25). 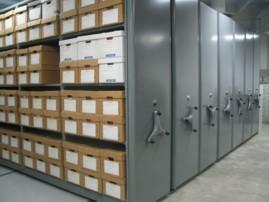 These are not the only documents in archives in Britain or abroad. However, most simply consist of one or two pamphlets or copies of the newspaper. A couple are worth mentioning. This institution holds three copies of the first series of the newspaper: no.1 February 1970, no.6 May 1970 and no.7 July 1970. The reference number is M329 COM 36/9. The relevant collection is the ‘Papers of Sheila Rowbotham’ (7SHR). This contains her correspondence and drafts for books, resource material, including Women’s Liberation Movement papers, socialist periodicals and campaigning papers, all from the period 1969-88. The Big Flame material includes discussion papers on women from the West London BF group; on men’s politics from the East London BF group; the pamphlets Walking a Tightrope and We Won’t Pay, and three issues of Women’s Struggle Notes. There is another deposit at the women’s library which would have been of interest. Unfortunately because it is not catalogued, it can not be viewed. This is the ‘Papers of Nina Hutchison (nee Helweg)’ (7NHH). The archive consists of her personal working and political papers including correspondence and resource material from the period 1969-94. Nina was a member of Big Flame and the archive apparently contains documents relating to this. She died in 1994 and these items were deposited on her behalf in 1998 by her literary executor. If anyone knows of any other significant deposits of Big Flame documents in archives, please tell me. If you are a former Big Flame member (or someone who accumulated their documents) and want to dispose of them. Please do consider giving them to a archive near you. They published a magazine, also entitled Big Flame, and a journal, Revolutionary Socialism. Members were active at the Ford plants at Halewood and Dagenham. They also devoted a great deal of time to self-analysis and considering their relationship with the larger Trotskyist groups. In time, they came to describe their politics as “libertarian Marxist“. In 1978 they joined the Socialist Unity electoral coalition, with the International Marxist Group. 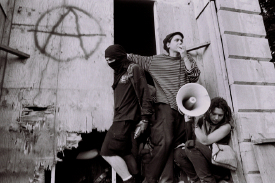 In 1980, the anarchists of the Libertarian Communist Group joined Big Flame. The Revolutionary Marxist Current also joined at about this time. [Please see corrections in relation to the LGC and RMC in comments on the version of “Who We Were” which was moved from being a post to its own page. Access this from the menu at the top of the homepage]. However Big Flame was wound up in about 1984. Ex members of the group were involved in the launch of the mass market newspaper the News on Sunday in 1987, which folded the same year. The name ‘Big Flame’ came from a television play, The Big Flame (1969), written by Jim Allen and directed by Ken Loach for the BBCs Wednesday Play season. It dealt with a fictional strike in the Liverpool Docks. Please add your memories of Big Flame by adding a comment below.